With the snow finally melting and trails clearing up, it’s time to think about finalizing your 2018 race calendar. You’re already signed up for this summer’s Vermont 100 (yay! ), so now you need to focus on the smaller details of how you get from where you are now to ready to rock by July 21 st . What shouldyou be doing to gear-up for that? What tune-up races should you do, and what distances should you consider? With so many options, sometimes it’s hard to decide! I will admit that there’s no perfect answer to this. Even in my household, my husband and I sometimes have differing race calendars because we approach our build-up to a goal race differently. (Then again, it could be because we sometimes have different race goals also.) Either way, below are some suggestions on what the ideal race schedule would be, to get you from now until Vermont 100. Whether training up for your first 100k or 100 miler at Vermont, you’re a seasoned runner who eats hundos for breakfast, or you’re running the Grand Slam, ideally you want to do 2-3 spring/early summer races as tune-ups before the big goal race. fitness). Doing too many races can have you reaching the starting line in mid-July feeling tired and burnt-out – and that’s no way to enjoy the beauty of Vermont! However, not doing enough pre-race can have you unsure of your ideal race pacing, and your under-trained quads will certainly be barking early on with all the ups and downs that VT100 provides. The key is to balance it all, and reach the starting line fired up and ready to crush this year’s race! The best way to dip your toe into the 2018 ultra season is to kick things off with a 50k. Since this is an early-season ‘dusting off the cob-webs’ effort, you’ll want to do this between 12 to 16 weeks out from race day. Ultimately, that means choosing an April 50k race. As with most training, specificity is always a bonus – so it’s great to find a 50k race that mimics the terrain and sharp rolling hills of the Vermont 100 course. However, it’s equally important to have fun at the 50k race, so if there’s one that you’re super stoked on, don’t worry if it’s ‘VT100-like’ or not! do races that inspire you! Pro-VT100 tip: if you run a 50 miler similar to the Vermont 100 course, you can reasonably expect that your VT100 finish will be 2.5 times longer than your 50 mile time. 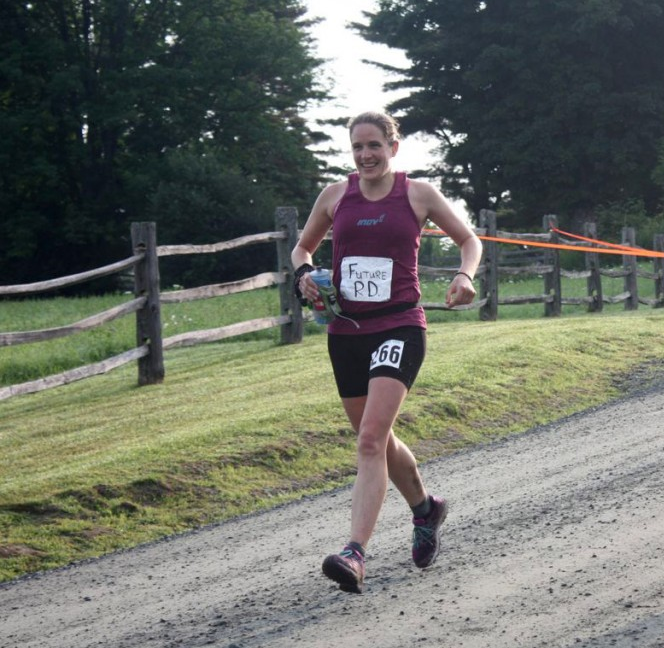 Use that info to properly pace in the early (downhill) miles of the VT100 course. For those who want another race to add to their calendar, you can throw in a 3 rd build-up ultra between these other two races. Since this is sandwiched between the 50k and 50 mile/100k efforts, you can opt for either distance. I’d also advise that if you do this, that you consider doing your first 50k in early April and do your last 50 mile/100k effort in early June. When making the decision of whether to do a 3 rd tune-up race, it pays to know your body. Consider if you’re someone who thrives on having a bit more practice and mileage in their legs to prepare, or if you’re better suited to approach Vermont feeling refreshed and almost antsy to go.